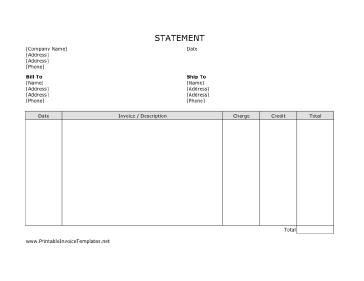 A simple invoice statement. It has room for descriptions, charge, credit and other details. It is designed in landscape orientation and does not have lines. It is available in PDF, DOC, or XLS (spreadsheet) format.